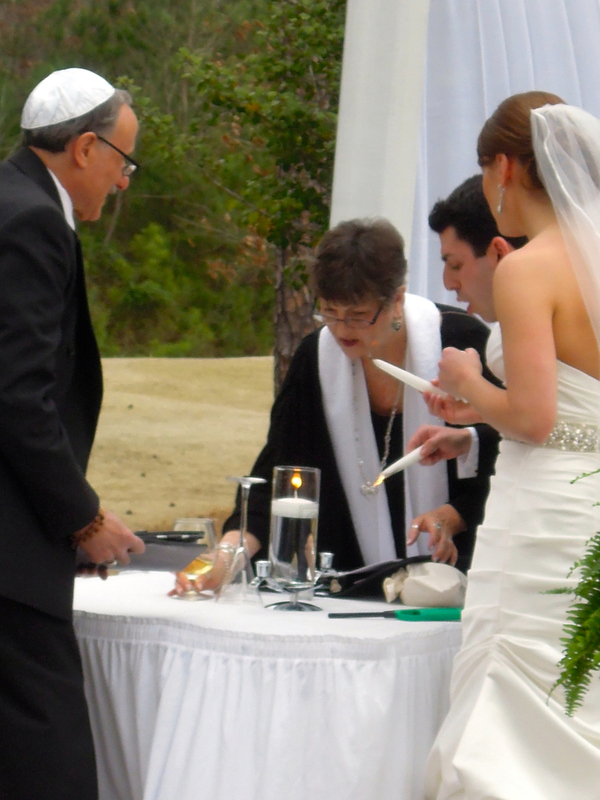 Interfaith ceremonies are a beautiful blending of wedding customs from the faith or heritage of each couple. 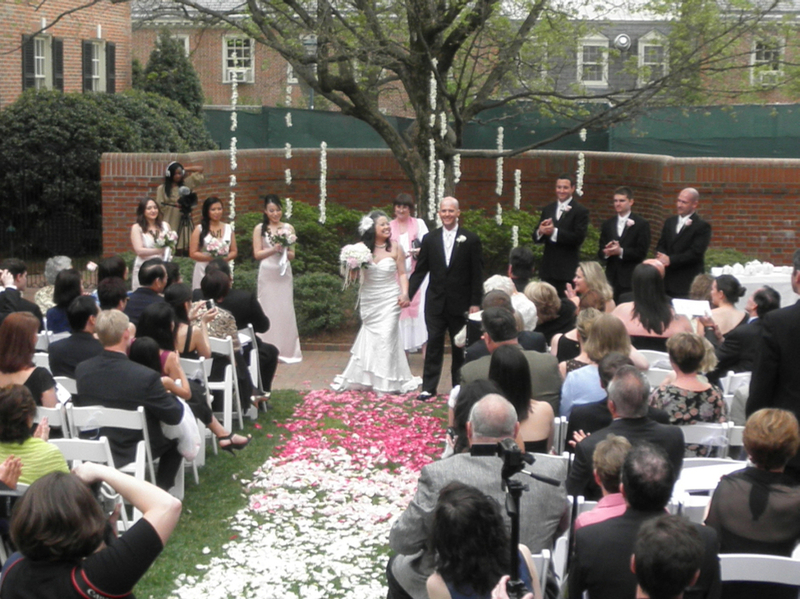 These ceremonies begin with the "Bells & Whistles" personalized ceremony to which we add elements from each faith or tradition. For example, Christian-Jewish ceremonies may include the Christian elements: a prayer from the Common Book of Prayer and a reading of First Corinthians about love. For the Jewish elements: The Cup of Life and 7 Blessings and the Breaking of the Glass. For Christian-Hindu weddings, we might have the traditional Christian Unity Candle which also serves as the Phere (fire) that the couple circle 7 times while making their vows in the Hindu tradition. The gift of the Mangal Sutra (black necklace) to the bride from the groom and the exchange of wedding rings blend the two traditions. Christian-Hindu Ceremony for Candace and Rupesh at Prestonwood Country Club by Twenty-one Films. "I cannot begin to say enough wonderful things about Reverend Kayelily Middleton. Not only did we have her officiate our wedding which was a combination of a Christian ceremony and a Hindu ceremony but we loved her so much we had her do our daughter's dedication in our home almost two years later. Hiring Kayelily allowed us to have a very unique and personal wedding ceremony and it allowed us to have the same for our daughter's dedication. She is very easy to talk to, very well spoken, friendly, professional, on time, helpful, creative and responsive in her emails. I would recommend her to anyone and if we have any more children we plan to have her do their dedication as well." Co-officiating wedding with Rabbi Andrew Ettin at The Carolina Inn. Please stand for the bride! A closer look at the Chuppah. At the Siena Hotel--Jon and Rabia included the poetry of Sufi poet Rumi and the water pouring ritual. Allyssa and Jay's wedding at The Cotton Room included the Unity Candle and the Phere--a very nice blending of traditions. Making their vows one step at a time. We included the Veil and Cord ritual from the Filipino wedding tradition. The parents of the bride drape the veil over her head and around the groom's shoulder. A rope/cord in the shape of a figure-8 are placed over their heads onto their shoulders. A lovely Chuppah for this wedding of Jessica and Mike. Haywood Hall wedding where Alecia and Vinod made their trips around the Phere stating one vow at the time. Lea and Rupal wed under this lovely Mandap from the Hindu tradition. Making their rounds around the table with the flame. At the Washington-Duke Inn Melissa and Jeff stood under a wrought iron Chuppah and celebrated by breaking the glass! At The Carolina Inn--another breath-taking Chuppah by Fresh Affairs. And the arrangement of the rose petals down the aisle was so stunning. The Tea Ceremony is a traditional ritual to honor the couple's elders by serving them tea while kneeling in front of them. In turn the elder gifts them a red envelope. This ceremony included canting of Hebrew for the Jewish rituals of the Cup of Life and the breaking of the glass. The Unity Candle was the Christian element. A good laugh after the Ceremony! It was a windy day and generated much laughter while struggling to light the candles! 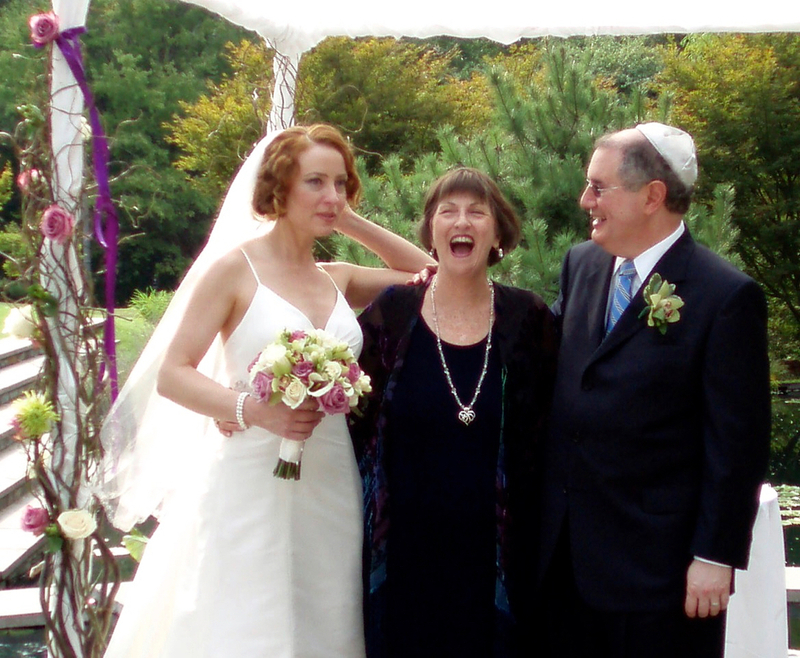 Andrew Weiss Canted the Hebrew for this wedding.